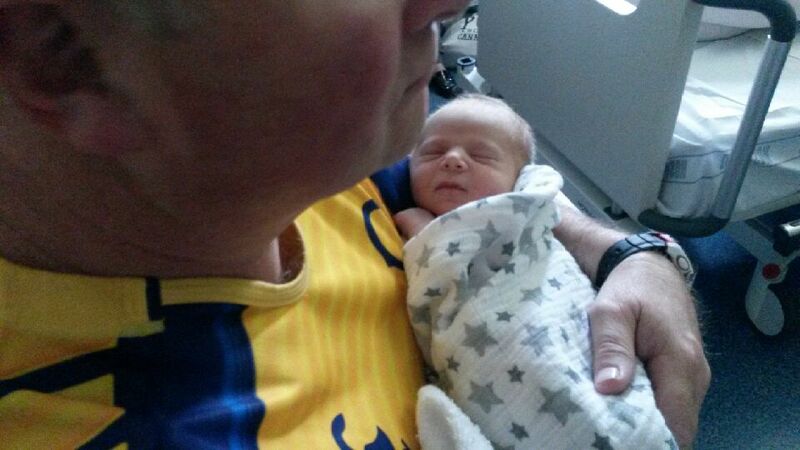 The latest addition to the Hannagan clan: Mason Andrew Kellett, born on Saturday the 24th April. 7 lb 15 oz. Mason is the grandchild of Jane (Hannagan) and John Kellett, and the son of Peter and Bex. According to the Family Tree relationships graph, this makes him my mother's brother's daughter's son's son, which to me seems a rather long-winded way of putting it. He's my cousin's grandchild, would be a lot easier! I think it makes him something like my first cousin twice removed, but I'm not at all sure on that.